If you know me well, I HATE smoking. Not only is it dangerous to the smoker, it’s also no good for people around him. Furthermore, the habit drains your pocket. It makes things even worse if you have children around you. The other day, I glanced through a letter sent in by a reader in a local newspaper. I wanted to rewrite the letter to bring out just the main points but I would do a disservice to it if I do. Hence, I reproduce it here in it’s entirety. “I am in my mid-30s. As a smoker, I used to smoke as many as one big packet of cigarettes a day. One day, my only son, who is six years old, came home from kindergarten crying and begging me to stop smoking. He told me that his teacher told his class that smoking was bad for health and too much of it could kill a person. I was very perplexed as to why they learned such things in the kindy. My son hugged me tightly and refused to let go unless I promised to quit smoking. To pacify him, I nodded. After that, every time I needed a smoke, I had to hide from him. About two months later when I was on leave, I decided to fetch my son from school and meet the teacher. What she told me was very touching indeed! Her father, a chain smoker, died young from lung cancer. One of her students, a young boy, liked to put his pencil in his mouth and pretended that he was smoking. He would imitate his father. The other children would laugh and some followed him. That boy’s father was a smoker. The father did not realise that he was influencing his young son to be a smoker. So she told her pupils about the evils of smoking and what happened to her father. That evening, after a good meal, I went to the backyard and had my smoke. I did not see my son walking into the kitchen. When he saw me, he yelled and jumped so hard that he vomited all his food. I could see that he was terrified that I might just collapse and die with the cigarette in my mouth! It was then that I decided to give up smoking for my son’s sake. I hugged him and begged for forgiveness as I had lied to him. 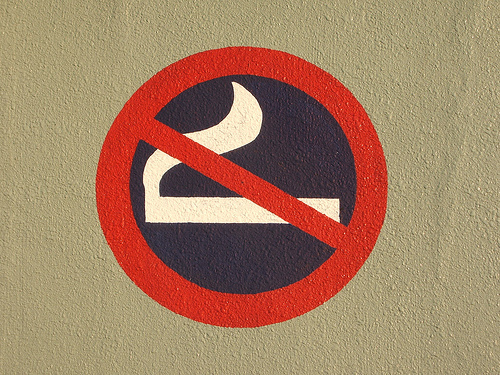 If you are a smoker, after reading this story, I hope you’ll find a compelling reason to kick the habit. Stop giving yourself excuses that smoking helps you relax and smoking helps you to be creative. Smoking gives you nothing but health hazard.